There were no goals in the 94th Der Klassiker of the Bundesliga era between Borussia Dortmund and FC Bayern München, but that did not detract from a compelling contest of Bundesliga action par excellence. Goalless it may have ended, but the Matchday 25 meeting of the country's top two sides lived up to all the hype and expectations in every other regard. 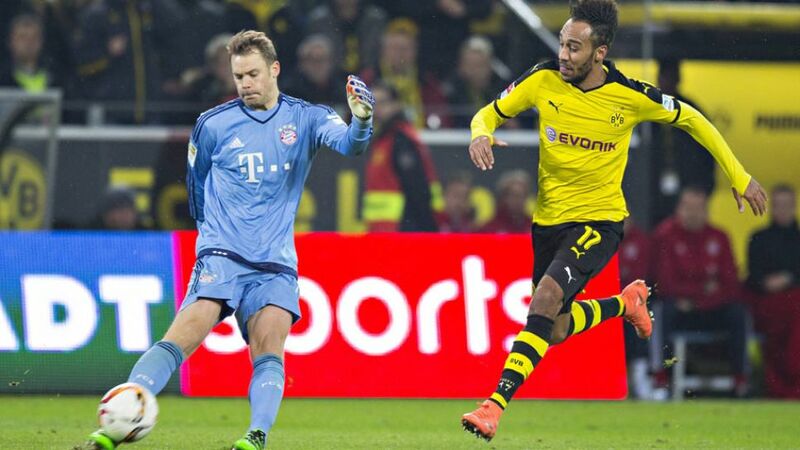 A sell-out crowd of over 81 thousand at the Signal Iduna Park and millions more following the action live in 208 countries around the world watched on enthralled as Borussia Dortmund and FC Bayern München locked horns in their Bundesliga summit meeting. The players themselves, meanwhile, were more circumspect about the wider significance of the result, which left the visitors still five points clear of Dortmund at the head of the table. “Nothing's decided yet,” Bayern's Thomas Müller stressed, while skipper Philipp Lahm summarised it as “a good, intense game for the fans. We still have our five-point cushion. There's a long way to go yet, but it's in our own hands.” With nine games remaining, clawing back that differential now is “not impossible, but very tough,” Dortmund playmaker Ilkay Gündogan conceded. Over the coming weeks, both clubs have their hands full in Europe as well as on the home front. In addition to the league programme, they each have a DFB Cup semi-final to negotiate as well. Should they do so, German football will have another season-ending highlight to look forward to in the form of a showpiece final on 21 May at Berlin's Olympiastadion – with a winner this time guaranteed.